York has been named as one of Britain's best and most beautiful cities in numerous independent surveys, In fact, seventeen percent voted for York as the most attractive place in the UK, and one in ten people named York as the city they would most like to move to in an independent survey carried out by Bing in 2011. Not only that, in 2012, York was voted as the second happiest place to live in the UK. Surrounded by beautiful villages, York is the gateway to wonderful countryside, coast, cities, stately homes, theme parks and outdoor pursuit centres all within easy reach of the city. York itself is renowned for its exquisite architecture, tangle of quaint cobbled streets and the iconic York Minster. You can walk amongst the city’s vibrant cafés and bars. Take time out to enjoy some of the country’s most talented street entertainers or simply watch the world go by whilst sipping a drink by the river. A city of contrasts and exciting discoveries, with a population of 200,000 it is small enough to feel friendly and intimate, yet large enough to have a thriving economy and business community. With large employers such as Nestle, Portakabin, Aviva, Network Rail, Northern Rail and Hiscox choosing to be based here, York is a place where the old encompasses the new and the common place meets with the unexpected. Based almost equidistant between London and Edinburgh on the East Coast main line, York has the benefit of access to London and Scotland within two hours as well as world class museums, a variety of festivals held throughout the year and its superb racecourse. North Yorkshire is just on the doorstep and here you will find the rural Yorkshire Dales and the North York Moors, the spa town of Harrogate and seaside town, Scarborough. You will find stunning castles, historic monuments and stately homes amongst beautiful countryside, rural villages and exciting tourist attractions. Our office in Poppleton serves surrounding villages to the North and West of York including Knapton, Rufforth, Hessay, Skelton and Long Marston. Poppleton has a population of 2000 people and was mentioned in the Doomsday Book and Anglo-Saxon Chronicles. It is now a thriving community with easy access to both York and villages to the North of the city by both road and rail. The village boasts excellent rail and bus links, a post office, convenience shops, dentist, doctors, public houses, library, excellent Ofsted rated schools, scouts & guides, a brilliant active community centre, churches, tennis club, football club, drama groups and its own wildlife trust. To the east of York are some delightful villages such as Dunnington, Pocklington, Stamford Bridge, Gate Helmsley, Warthill, Murton and Holtby. 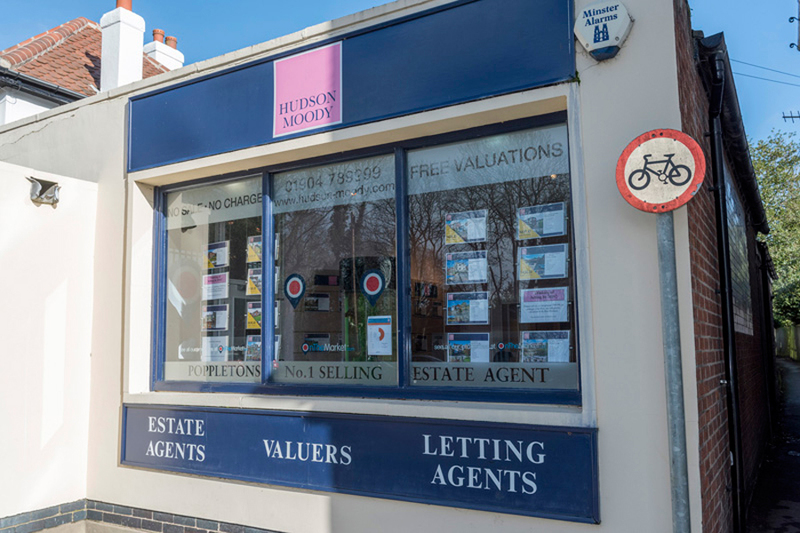 Our personal agent, Alex MacLean is based in Dunnington which is approximately four miles to the east of York with a population of 3,200 people. It has a thriving community and a good selection of local shops and facilities including a doctor’s surgery, post office and supermarket. It has two public houses and a sports club with facilities for bowls, cricket, football, tennis, squash and ladies hockey. 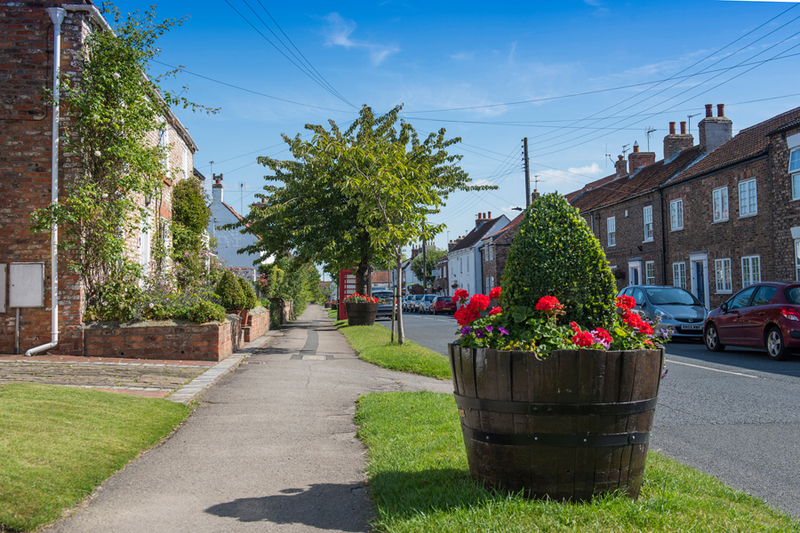 Dunnington was the category winner in the small town category (for settlements with population over 3,000) of the 2014 Britain in Bloom competition.